We will change the way you eat Wings! Available in Spartanburg and Gaffney, SC! Are you tired of flavorless wings? Discover wings like you have never before when you dine with us at Smokin Wings & Things in Spartanburg and Gaffney, SC. Our restaurant is known for our unique smoked and fried wings recipe. We boast more than 120 wing flavors, too! One bite of our wings and you will be hooked, that’s for sure. Visit us today! Why Choose Smokin Wings & Things? 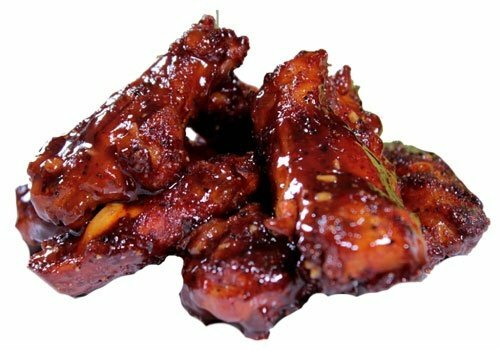 Try Our Smoked Wings Today! As a testament to our amazing food, Smokin Wings & Things’ wings have been ranked #1 by Yelp users in Spartanburg, SC. We have also been awarded the Presidential Lifetime Achievement Award from President Obama for the charitable community work our company does. Rest assured that our team will continue our efforts to deliver great-tasting dishes while making sure to help the community as well. Should you have any questions about the chicken wings we serve, our menu, or our lunch specials, do not hesitate to contact us.